Primary Camera: 40 MPix Hoofdcamera: 40 MP, f/1.8. Ultra-wide-angle sensor: 20 MP, f/2.2. Telefoto sensor: 8 MP, f/2.4, OIS. Dual-tone LED flits, AI ondersteuning. De technische specificaties van de Huawei Mate 20 Pro staat vol met vlaggenschip hardware, waaronder de nieuwe Kirin 980 SoC, de op dit moment snelste LTE modem in een consumenten smartphone, draadloos laden en een vingerafdrukscanner onder het beeldscherm. Dit testrapport bekijkt al dit en nog meer om te bepalen of de indrukwekkende specificaties van de Mate 20 Pro vertaald zijn naar indrukwekkende prestaties in de praktijk. De Mate 20 Pro is een telefoon die alles laat zien wat er op dit moment mogelijk is. Denk aan een drievoudige cameramodule, een gebogen hoge-resolutie scherm, de geïntegreerde vingerafdrukscanner, de draadloze oplaadmogelijkheden en niet te vergeten de enorm krachtige prestaties. Tijdens schrijven van deze review kost de Mate 20 Pro rond de 700 euro (na 125 euro cashback). Dat is natuurlijk een fors bedrag, tenzij je Apple gebruikt. Als je het geld ervoor over hebt dan haal je een innovatief toptoestel in huis, waar je niet gauw spijt van krijgt. Wij zijn, ook enkele maanden na de introductie, nog steeds heel erg tevreden over de Mate 20 Pro. Huawei trekt met de Mate 20 Pro alle registers open en levert voor het eerst een smartphone zonder compromissen. Van de Android-smartphones die dit najaar bij ons op de markt verschijnen, is dit zonder twijfel het interessantste exemplaar. Als we eerlijk zijn dan is wat ons betreft het antwoord nee op die vraag. De in-display vingerafdrukscanner is dus minder goed dan de scanners op andere telefoons en de ontgrendeling via de frontcamera is ook niet echt uniek te noemen. Bovendien komen veel specs overeen met voorgaande modellen en missen we zelfs een lens op de camera, die wel aanwezig was op de P20 Pro. Ja, dit is mogelijk het beste Android-toestel van dit moment, maar ook het duurste — laat hem dus eerst in prijs zakken voordat je hem in huis haalt. De Huawei Mate 20 Pro is echt een krachtbeest dat bomvol features en vernieuwingen zit. Hij heeft sterke prestaties, een, erg sterke set-up van de camera en interessante features zoals de vingerafdrukscanner onder het scherm en het ontladen van de batterij om een vriend uit de nood te helpen. Verder legt hij ook goede accuprestaties voor. De prijzige Huawei Mate 20 Pro combineert een luxueuze ontwerp met uitstekende hardware en innovatieve, handige features. De matige EMUI-software is en blijft een doorn in het oog, maar veel mensen zullen er (gedwongen) genoegen mee nemen. Onder de streep is de Huawei Mate 20 één van de beste smartphones van 2018. Huawei has the best from Apple and Samsung in its sights with its powerful, full-featured flagship – and it's worth the cost, if you can stomach a four-figure pricetag. The Huawei Mate 20 Pro is a knock-out. The Chinese tech giant's latest flagship executes the basics effectively, while excelling in our performance tests, and boasts enough bells and whistles to keep things interesting. With MWC starting next week and plenty of new smartphones expected to be unveiled, the Mate 20 Pro should still hold its own. Not only does it offer fantastic performance but it boasts one of the best set of cameras available in a smartphone today. Even if Huawei does announce its successor, that just means you’ll be able to score the Mate 20 Pro for a more affordable price. The Huawei Mate 20 Pro is a great camera and it might deserve a higher score, but I came into this review with high expectations. The Huawei P20 Pro had great detail and stunning colors — it was overall an amazing camera. Huawei packed the Mate 20 Pro with a ton of handy features such as wireless charging, updated cameras, enhanced AI capabilities, an improved EMUI experience, and battery life that just doesn’t know when to quit. There’s also a few gimmicks in the form of reverse wireless charging which isn’t very useful thanks to its snail-like charging speed and the ability to make animated 3D objects. Both are party-tricks that while fun to show off a few times, will hold no long-term interest or use. And that’s perfectly fine because the Mate 20 Pro has more than enough essential functions and features to make up for a couple of gimmicky additions. The Huawei Mate 20 Pro camera’s real strength is its versatility/performance ratio. It may not be the best at everything, but it is very good at many things. Huawei has been threatening to challenge Apple and Samsung for years now, but it's no longer just a threat. With the Mate 20 Pro, Huawei has surpassed the competition. This is the best smartphone of 2018, hands down. And if you're looking for an ultra-premium Android flagship that does it all, you shouldn't just be considering the Mate 20 Pro, it should be the only phone on your wishlist. Coming to the device verdict, If you have a Budget of Rs 65,000 for buying a new smartphone, go for Huawei Mate 20 Pro. You will not be disappointed. It has an attractive design which will not go unnoticed, the camera will not let you miss out on an opportunity to capture a memory, battery is good enough to run a marathon, the display will make you fall in love and performance to impress you. As everything can’t be perfect, Mote 20 Pro has a couple of issues as well. The UI needs further refinement and finger print scanner of the device needs a major overhaul. The Mate 20 Pro is Huawei's best flagship yet. It has better cameras and better performance than both the Mate 10 Pro and P20 Pro. Thanks to the power of the Kirin 980 you've not only got a very fast device in your hands, but it can finally stabilise video at 4K, though it's a slight shame that it can't quite manage 60fps given the price. The Mate 20 Pro shows a nice improvement over the front-camera results of its predecessor, the P20 Pro, with better results in a couple of key areas: dynamic range in high-contrast scenes, color saturation in lower light, and white balance using flash with additional lighting have all noticeably improved. Opportunities for improvement remain, particularly extending the range of focus for better detail in long-range shots; addressing the strong artifacts on faces; and reducing the white balance irregularities that persist outdoors. Huawei’s latest device is a fairly solid performer for front-camera video, too, with effective stabilization, good detail at close range with relatively well-controlled noise, and acceptable color in most conditions. As it ranks near the center of our database, better results are possible, but the Huawei Mate 20 Pro offers acceptable front-camera results to go with the very impressive results of its rear camera. The Huawei Mate 20 Pro is a super-phone in every sense, and that is especially true when looking at its camera. The triple-lens setup is capable of producing excellent photo and video results across all shooting situations and deservedly shares the top position in the DxOMark Mobile ranking with its slightly smaller sibling, the P20 Pro, outperforming prominent competitors such as the iPhone XS Max, the Samsung Galaxy Note 9, and the HTC U12+. It’s worth keeping in mind that the Mate 20 Pro comes with a super-wide-angle lens that does not have an impact on our score, but compared to the P20 Pro and other devices that don’t have this feature, the lens offers an added degree of flexibility that could be very important to many photographers. The Mate 20 Pro’s battery life is impressive. It can last a whole day and night, though it will understandably be gasping by the time you wake up. Nonetheless, we still had confidence in it setting off the alarm in the morning! There’s not a lot the Mate 20 gets wrong as a handset. The price would be the biggest turnoff, followed by the EMUI, Huawei’s Android. Overall, the Huawei Mate 20 Pro has got to be one of the most powerful flagship smartphones currently available. Potentially offering nearly any feature you could want, it still feels a bit like a work in progress as each update polishes up the features and brings in new features as well, but make no mistake, this smartphone has nearly everything for everyone. Want a sleek, unique, easy to grip design? Check. Should you buy it for its cameras? Definitely. Does it let you play games and everything else on maximum but still saves battery life? A big YES. The Huawei Mate 20 Pro is the king of hardware. Nowhere else can you find a powerhouse with such a big battery, two forms of biometric security, three rear facing cameras, and a lot more. 85% Huawei Mate 20 Pro Review: Love at First Sight! Absolutely! The Mate 20 Pro is a jack of all trades. And unlike the popular saying, it IS a master of them all. A few things that I didn’t mention include an IP68 rating for water resistance, wireless charging, dual SIM support, an IR blaster to control appliances, a notification LED which seems to be disappearing of late and all of these are just minute additions to what feels like a complete powerhouse of a smartphone. That brings me to probably the only aspect which would deter consumers from investing in this smartphone, and that’s the price at which the Mate 20 Pro retails. The Huawei Mate 20 Pro is a feature-packed phone and that is what I expect from a flagship device from any company. Huawei shows that they are able to pack a large number of cutting edge features into a flagship phone and show how they became the number two phone maker in the world. The Mate 20 Pro is able to stand out from the crowd when it comes to performance, battery life, camera quality, LTE connectivity and the crisp OLED screen. Huawei did a great job on this phone as it really doesn’t leave you feeling like you are missing out on any key features. Although Huawei has positioned the Mate 20 Pro as a camera phone, it has all the qualities of an all-rounder smartphone — from water- and dust-resistance capabilities (IP68) to premium glass-metal-glass design and QHD+ resolution curved AMOLED screen. Priced at Rs 69,990, the phone might seem to be on the pricier side, but considering the fact that most premium flagship smartphones also have a similar pricing, the Mate 20 Pro is a complete package in its segment. I've been singing the Mate 20 Pro's praises throughout this review, but it's time to mention the elephant in the room, which is that U.S. availability is once again limited. Sure, you can buy one off of Amazon, but carriers won't sell it. This is of no fault of Huawei's, unless the allegations from the U.S. government are true, which I don't personally believe them to be. I believe that the lack of Huawei devices on the U.S. market is a massive disservice to the American consumer, because these are magnificent devices. A trip to London’s Excel saw the world launch along with about 2000 others from around the planet of the latest flagship phone from Huawei, the Mate20 Pro. Apart from being that bit faster, larger screen and better featured this offered new features including AI effects as well as having no less than three Leica cameras in a square section on its rear. Huawei Malaysia has just announced that a significantly upgunned version of the Mate 20 Pro that has more RAM and more storage is coming to Malaysia in a matter of days. Ultimately, though, I feel at this price that gluegate is a bit of a stain on the Mate 20 Pro’s reputation, while it also needs to fix a couple of other smaller issues. Should you buy the Mate 20 Pro? It’s up to you. Overall, the Mate 20 Pro is exactly the way it has been advertised. This is a great phone. All screen, super fast Kirin 980 chipset, triple rear-facing cameras, long battery life, and a striking design grows over time. Fortunately, there’s a lot to like about this phone, barring the user interface which still needs a bit more polishing. Huawei is a company trying to make a statement in the wireless world, and it’s using mobile photography as a vehicle to get there. While the Mate 20 Pro is going to be seen as Huawei's leading device this year, the P20 Pro has all the makings of a flagship phone at a price which should probably be considered mid-range. While it lacks wireless charging, runs a weaker processor and doesn't have the fancy four-camera setup seen on the Mate 20 Pro, it's arguably a better deal if you're concerned about spending £700 on a phone. Thanks to a great design, punchy screen, decent stamina and fantastic photographic setup, the P20 Pro is easy to recommend. If you're one of the few still holding out to upgrade to a new flagship phone, the Huawei Mate 20 Pro comes closest in delivering the complete package. So which out of the three should you choose? I’d pick the Huawei Mate 20 Pro. It does not looks as boring as the Google Pixel 3XL, packs in the latest software updates with Android 9 Pie and comes with three cameras that you will switch between (either by yourself or automatically thanks to AI mode) on your next vacation. Oh yes! And then there’s the SuperCharging that can spoil any OnePlus, Samsung or Pixel fanboy out there. The Huawei Mate 20 Pro is a flagship phone that comes packed to the gills with features that would please everyone from a casual user to a professional photographer. With its excellent cameras and battery life, you could shoot photos all day without any trouble. However, EMUI 9 needs some reshuffling of system setting elements to be more user-friendly. 96% Huawei Mate 20 Pro review – PUBG Gameplay, Sab Kuchh Zhakaas! This is a premium Smartphone, comes with premium price tag. If you have the budget and planning to buy, then the Huawei Mate 20 Pro is surely an excellent option. There's no doubt that the Huawei Mate 20 Pro is an all-rounder Android smartphone. It comes with smashing looks, packs one of the most powerful processor in the market, delivers a solid camera performance and boasts of some of the most interesting features that you could ask for from your smartphone. But at the same time, a completely new SD card support may not impress everyone out there. Also, the much-touted reverse charging feature may is not practical in most situations. But yes, it surely may come handy in emergency situations considering Mate 20 Pro's 4200 mAh battery capacity. With smart pricing, Huawei is clearly targeting Apple iPhone's marketshare in India. 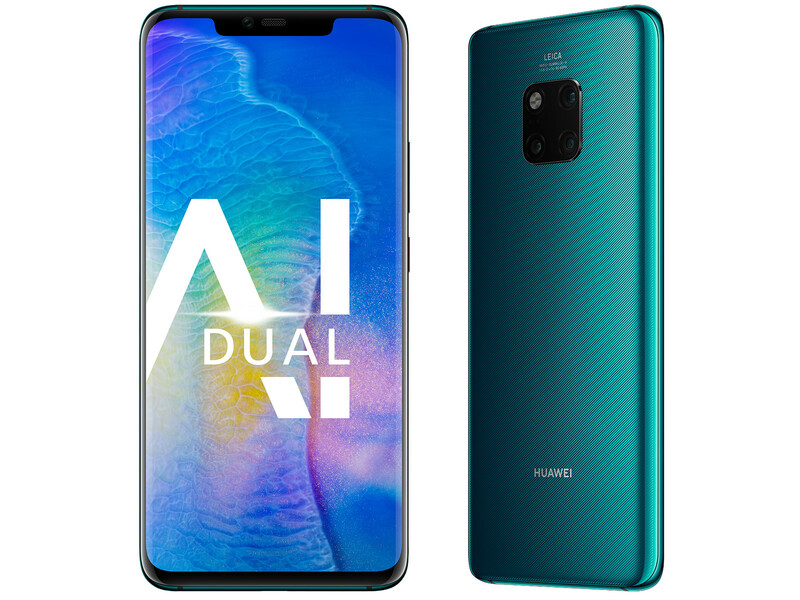 However, the possibility of someone switching from iOS to Android with Huawei Mate 20 Pro is not too high. On the other hand, for users looking for a top-end Android smartphone, the latest flagship from Huawei could be a good choice. In a year of incremental upgrades, Huawei has made huge strides and the Mate 20 Pro is the culmination of all of these efforts. The Mate 10 Pro last year was a really good smartphone, the P20 Pro earlier this year was great but the Mate 20 Pro? Well, this is an outstanding smartphone. It's easily one of the top 3, if not the best, smartphones this year and it's the phone that seems to have everything. Next year will be see some major changes to the smartphone industry, but until the first wave of 2019 phones come around, Alex and I will both be keeping this in our pockets. HUAWEI’s top-of-the-line smartphone, Mate 20 Pro has launched in India bringing in the innovations like the world’s first 7nm Kirin 980 CPU with dual NPUs, reverse wireless charging, nanoSD card, and features a curved OLED display and Leica branded triple cameras (40 MP + 20 MP + 8 MP) on-board. Here’s our hands-on and first look of the HUAWEI Mate 20 Pro. Aside from the triple cameras, the Mate 20 Pro comes with a 6.39-inch OLED display with QuadHD+ resolution. The Mate 20 Pro uses a glass design with a curved display and thin edges. The Mate 20 Pro also brings the world’s first 7nm Kirin 980 CPU with dual NPUs, reverse wireless charging, and a nanoSD card slot for the first time on a smartphone. Here’s our unboxing and features overview of the HUAWEI Mate 20 Pro. The Huawei Mate 20 Pro is one of, if not the, best phones ever made. It delivers an experience that leaves absolutely nothing to be desired and, for all real-world intents and purposes, it is perfect. It's a phone that you'll soon fall in love with, and one that confirms Huawei's position as the most ambitious, pioneering smartphone maker in the world right now. Huawei’s phones just keep on getting better. The Mate 20 Pro is full of great features and offers up an excellent alternative to any other flagship phone on the market right now. Se julgássemos o novo Mate 20 e Mate 20 Pro como patinadores olímpicos, eles sem dúvida ganhariam notas 10 em todos os quesitos por mérito técnico. Isso porque, embora eles não tenham uma caneta stylus, a nova dupla de telefones da Huawei oferece quase todos os outros recursos que você poderia desejar, e eu não me refiro apenas às coisas fáceis. Without a doubt, comparisons are going to be drawn between Huawei’s latest flagship and that of Samsung’s Galaxy Note 9. That is understandable, since they are in similar price brackets. Although I need to reserve judgment for the latter to arrive for review before making that assessment, I can say this: the Mate Pro is simply Huawei’s best phone to date. Fast, beautiful, brilliant cameras, a whopping big battery and promising AI infused functionality also makes this one of the best smartphones to come out of 2018 as well, if you can afford it. There's no doubt that the Huawei Mate 20 Pro is a fantastic device - in fact there's more than a few compelling arguments to say it's the best Android device on the market today. Unfortunately for US consumers, it doesn’t tick the most important box of all: availability. Right now, whether that’s down to the US government or other reasons, there’s no official plan to bring the Mate 20 Pro to this market. That’s a shame, and I’d certainly say it’s worth looking to Amazon, eBay, or other resellers to get your hands on what could well be the year’s most impressive phone. Having played around with the Mate 20 Pro and having tried the many features it is packed with, I have come to a conclusion that the handset is the most tech-packed phone of the year, and Huawei has applied technology in more tasteful ways than it ever has before. It's used to fit a large screen into a phone narrower, and therefore easier to handle, than the competition. 91% Huawei Mate 20 Pro Review – Should You Upgrade? The Huawei Mate 20 Pro is undeniably the most capable and feature-packed Android flagship smartphone this 2018 even beating the Samsung Galaxy Note 9, Google Pixel 3 XL, and even the Apple's iPhone Xs Max in terms of value for your money. The Huawei Mate 20 Pro's impressive list of features puts it unquestionably among the top phones of the year. Shame you can't buy it in the US. The Huawei Mate 20 Pro is a performance phone with a beautiful display, great design, long-lasting battery and a great rear-facing camera. While I wished the device featured a better UI and selfie camera, I was quite impressed with the handset and it's definitely a contender for 2018’s best smartphone. In the past couple of years, the Huawei P series seems to be the more prominent device among its stable of flagship smartphones but this year it looks like the Mate series, specifically the Mate 20 Pro will get the most attention from Huawei’s line-up. Huawei Mate 20 Pro (UD) once again demonstrated Huawei’s innovation and AI strength. EMUI 9.0’s improvements in functionality and interactivity make the mobile experience more natural and user-friendly, and can be easily switched between various applications with a full screen or even one-handed. Ingenious layout + meticulous design to create a “super-running eye” matrix multi-focal imaging system, the camera and camera experience have improved, more importantly, AI blessing allows Xiaomi users to easily play new tricks, so that everyone is “Image Master” makes life more interesting. We’re just going to say it. The Huawei Mate 20 Pro is definitely one of the best smartphones that you can get this year. It exceeded my personal expectations and the whole team is in an agreement that they’ve made a really great device that is possibly the one to beat in 2018. That’s a pretty bold statement but it really does tick all the boxes that we’re looking for in a great flagship. By almost every measure the Huawei Mate 20 Pro is packing the best tech currently available in the mobile industry. Add to that the fact it looks eye-catching, and is relatively well priced and the Chinese manufacturer has made yet another winner for 2018. There’s no such thing as the perfect smartphone, but the Mate 20 Pro is arguably as close as you can get right now. The Huawei device is unmatched in camera versatility, and on top of that it has every premium feature imaginable, like an in-screen fingerprint reader and the ability to wirelessly charge other phones. The Mate 20 Pro doesn’t come cheap, but it’s worth it. What you’re left with, after all this, is a $1,599 phone that is arguably the best phone you can buy today if money is no object. The issues we’ve identified really are only minor in the scheme of things, and are well offset by the momentous gains Huawei has made in user experience, camera performance and the overall agility and speed of the handset. How close can the Huawei Mate 20 Pro go? Do you think you can do better? Why don't you bring something small and go check out the Huawei Mate 20 or Mate 20 Pro at any Huawei Experience Store, or if you're keen on showing off your close-up photography prowess, get one for yourself for RM2799 with the Mate 20 or RM3599 for the Mate 20 Pro via Huawei's online channels. So, the answer is that Huawei has made a worthy alternative to Samsung and has taken the crown for now. This is the first time we have allocated five-out-of-five points. In a world of black slabs and so little innovation, it stands out from the crowd – at least until other brands catch up. The Mate20 Pro is an impressive phone, and that it's strong enough to even enter the conversation alongside the likes of the Galaxy Note9 and Google Pixel 3 is an achievement. Its high price and muddled interpretation of Android software will be barriers for some, but if you're a sucker for hardware or like your phones with an excessive list of high-powered features this could be the one for you. If you travel a lot and take a ton of photos, then look no further. The Huawei Mate 20 Pro is the ultimate companion for any journey - it can fully replace a whole bag of camera and lenses. It has a great screen, blazing-fast performance, and its large battery charges in a flash. Packed full of cool features and an AI camera that challenges conventional Android devices, the Mate 20 Pro is one of the best smartphones that the US will (probably) never see. Huawei has thrown everything including the kitchen sink at the Mate 20 Pro, which costs €1,049, and for the most part the results are pleasing. It has a great screen (although the long-edge curvature needs some attention), super battery life, a very good camera system, good in-screen fingerprint recognition, a very fast processor and plenty of internal storage. By combining the highest quality design, arguably the best cameras in any smartphone, and future-facing features such as an in-screen fingerprint scanner, the Mate 20 Pro asserts that it's among the top flagship phones of 2018. Divisive software with some hiccups and a weird-looking camera unit are its only nitpick letdowns. The Huawei Mate 20 Pro is a good phone, with some great and unique features, and once its price falls to become more attainable, it’ll be a real contender. As of the present moment, it’s a hugely indulgent purchase for those who are (a) outside the US, and (b) absolutely convinced they need its extensive list of good features and desirable specs. Really, this is really quite a remarkable computerised phone with some really very strong and interesting features. Huawei's distributors/resellers – firms like 3 and O2 in the UK, tell me there's strong pre-order demand for the device. Deep pockets will be needed to fork out for the unit on its own, but the retailers/distributors are going to offer plans which mean that you will pay as you go by opting for a tariff that reflects the price of the phone. Huawei might not have the instant recognition that Apple has for its iPhone range, but this machine is a goer. I have hardly begun to check out the myriad other features. I can't benchmark it because I just won't, but will say that its battery life is really very, very good. And it does recharge very fast. Summing it all up, the Huawei Mate 20 Pro is a fast Android phone with a beautiful design and a gorgeous screen. It has a solid battery life, super fast charging and one of the most versatile cameras around. And it has a ton of storage on board. Add to that not one, but two innovative secure unlock systems: the optical in-screen fingerprint scanner (which mostly works, but is a bit fiddly), and the fast and reliable 3D face recognition system (which works like a breeze). Huawei's gone even larger than the Mate 20 Pro with a 7.2-inch X model, which oddly costs less than the Mate 20 Pro but seems targeted at gamers. The phone has a larger 5,000-mAh battery and added cooling tech, a "combination of graphene film and vapor chamber" that Huawei promises is unique to phones and hasn't been done before. It sounds like Huawei's trying to go up against the Razer Phone 2 and Asus ROG in the Android phone gaming space. It doesn't have 3D Face Unlock, though. It starts at 899 euros with 6GB RAM and 128GB storage. Of course, that is all determined by pricing and availability, but Huawei has clearly decided that an ‘everything including the kitchen sink’ approach to their flagships might be the way to tempt even more buyers globally — and I’d be inclined to agree. The price for the Huawei Mate 20 Pro has been set at €1079 or somewhere around the Php 67,500 mark but, before you blow your lids, remember that we get a significant price cut when these devices hit out shores so we’re hoping that the same can be said for the entire Mate 20 line. We’ve got our fingers crossed but it wouldn’t hurt if you joined us. The company is all but invisible to consumers in the US, where less than 1 per cent of its revenue is generated. Political headwinds related to Chinese manufacturers and national security haven't helped, and in Australia the brand has taken a hit after the federal government mandated Huawei and other Chinese companies be excluded from contributing technology to next generation 5G mobile networks. The Mate 20 Pro is an outstanding phone. The cameras will be the highlight for many people, but it really is a fantastic all-rounder with a top-quality screen, super-fast charging, wireless charging and what promises to be excellent battery life. You’ve got to hand it to Huawei. The Mate 20 Pro is the most feature-packed phone I have ever used and I love that it’s trying new things. In-display fingerprint scanner will likely be the future and there’s something cool – though likely not practical – about helping someone else charge their phone by yours acting as the wireless charger. Boasting numerous futuristic features, an incredible camera and unrivalled battery life, the Huawei Mate 20 Pro may end up being one of the best phones of 2018. The Huawei Mate 20 Pro in an extremely well-equipped phone that pushes the limit where it matters: battery, camera, performance, and display. With the fast in-screen fingerprint and 3D face unlock, users always get the best secure unlock at any given time, without compromises of speed, convenience or security. The Mate 20 Pro is a new challenger that brings an in-display fingerprint scanner, an ultra-wide angle camera, wireless charger, curved display, and 3D depth sensing camera within an iPhone X-style notch. I’m not sure how much of a hit it will be with Canadian consumers, but the phone is impressive. Can the Huawei P20 Pro really replace a DSLR? I won’t be selling my DSLR or Fuji X100T mirrorless anytime soon, but… I’m not ready to put down the P20 Pro yet either. I’m off on another work trip this week and have actually packed the phone instead of my Fuji, so there’s definite potential for this brilliant little camera phone. 94% Huawei Mate 20 Pro Traum-Handy für Android-Nutzer? Huawei Mate 20 Pro Das innovativste Smartphone 2018? Huawei Mate 20 Pro Ist das neue Huawei besser als das iPhone? Läuft Huawei der Konkurrenz davon? 90% Test du Mate 20 Pro de Huawei : comment ne pas l’aimer ? Prise en main du Huawei Mate 20 Pro : direction, le sommet ! Prise en main : le Huawei Mate 20 Pro matera-t-il la concurrence ? 90% Test, recenzja, opinia – Huawei Mate 20 Pro – Jeden. Numer jeden AD 2018. Обзор Huawei Mate 20 Pro 6/128GB. Снова лучшая камера? Đánh giá thời lượng pin Mate 20 Pro: 4.200 mAh "trâu bò" tới đâu? 95% TEST: Huawei Mate 20 Pro - Ny konge på Android tronen? ARM Mali-G76 MP10: De meeste niet-veeleisende huidige games kunnen vloeiend draaien. Wees voorbereid op verminderde grafische weergave door lage detailinstellingen en lage resoluties. Toch verschaffen deze kaarten voldoende prestatie voor kantoor taken en video bekijken (niet voor HD videos). 0.189 kg: Dit gewicht is typisch voor smartphones. 89.78%: Er zijn weinig modellen die beter gescoort hebben. De meeste krijgen scores die iets lager zijn.